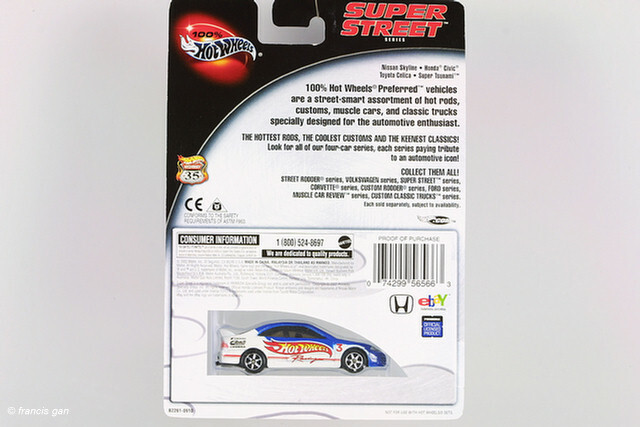 Mattel issued the first Honda Civic Si in 2000. 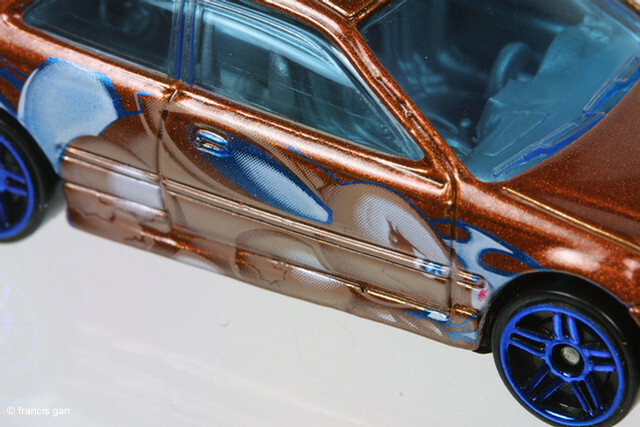 The scale of this 2 door coupe is about 1:51. 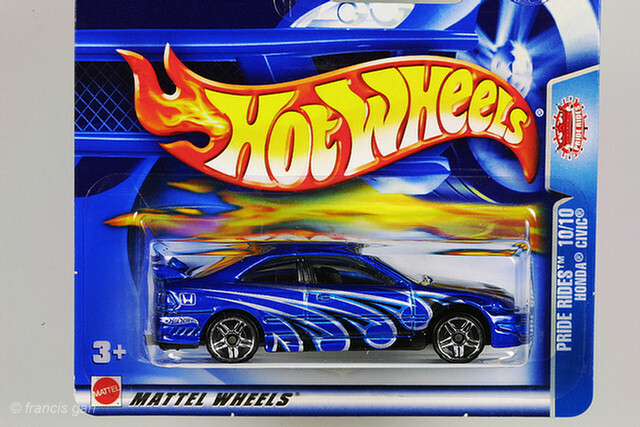 Since then, it has come in various colors and wheels. 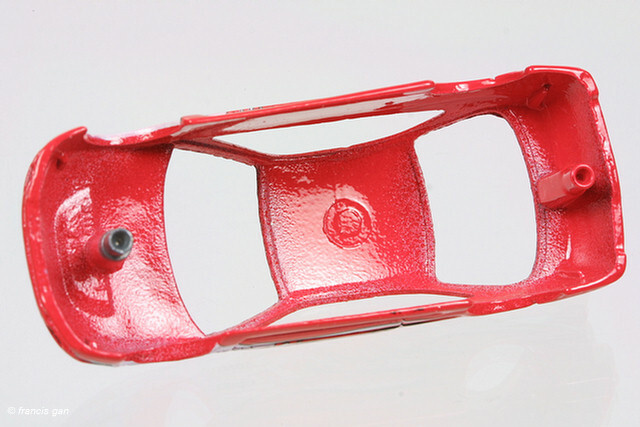 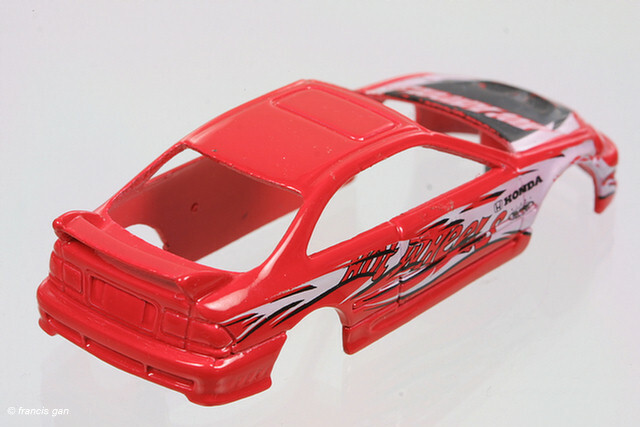 This casting comes with a race interior - complete with race harnesses in the front seats and a roll cage. 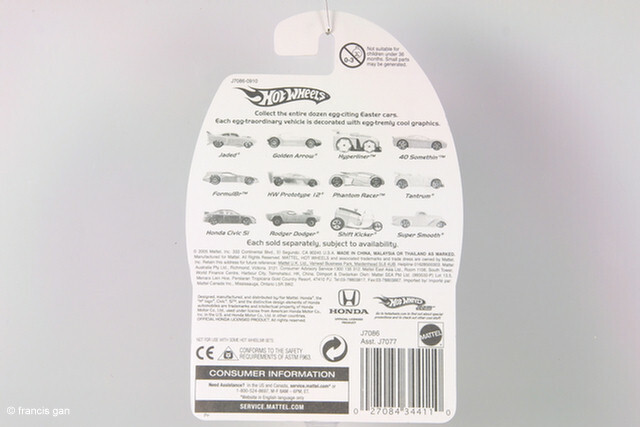 In most cases, the tampoed graphics and decals are quite detailed for a HW of this class. 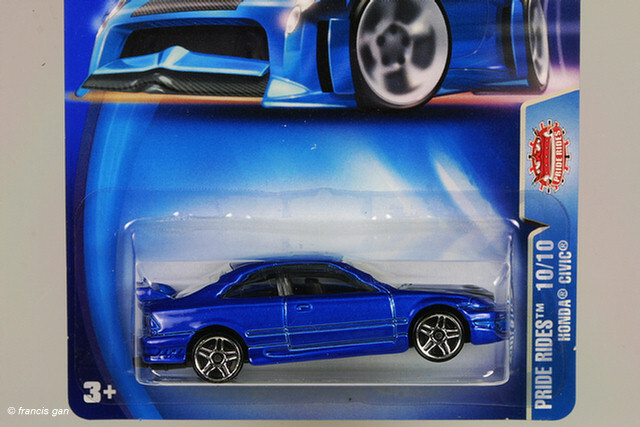 A rare variation with no side tampos. 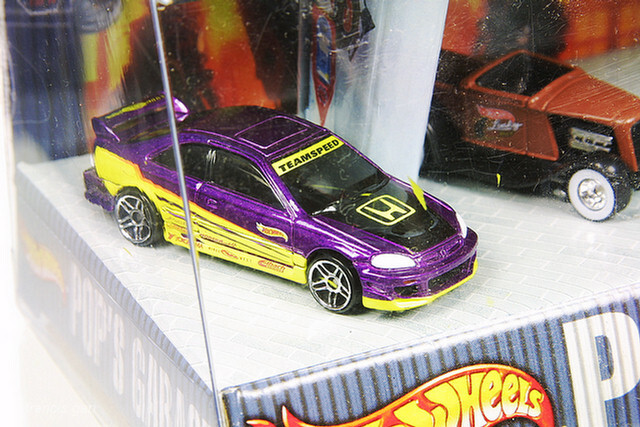 A body only from the factory! 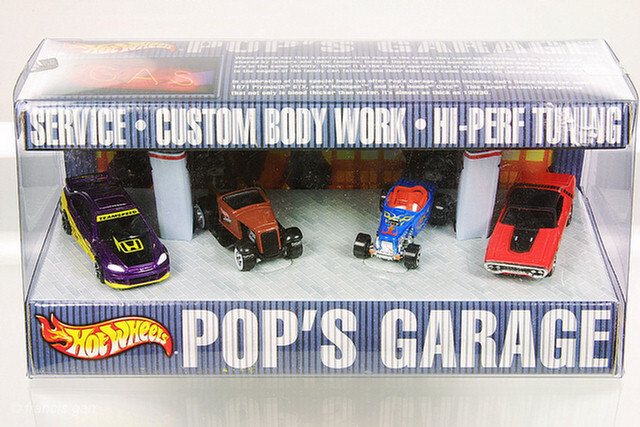 Never been assembled. 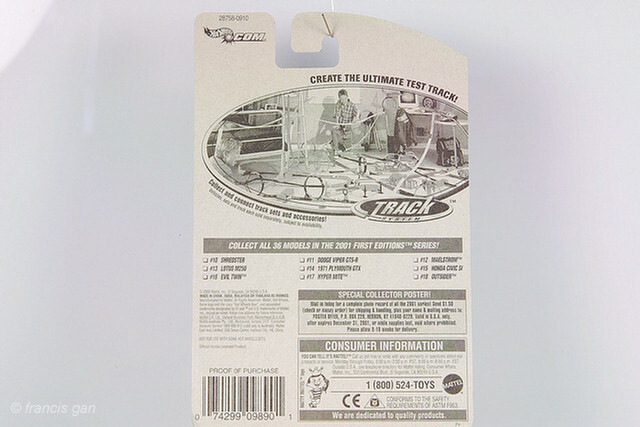 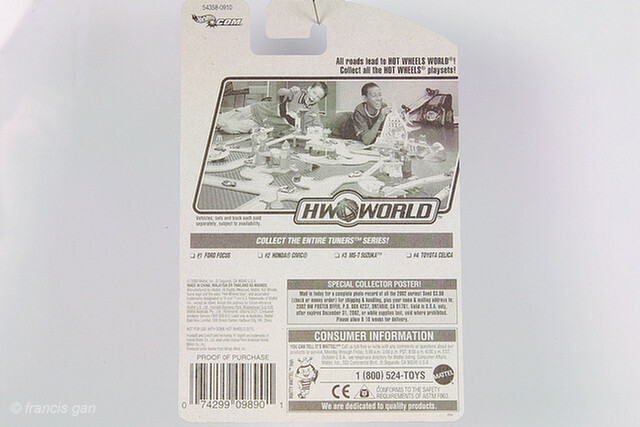 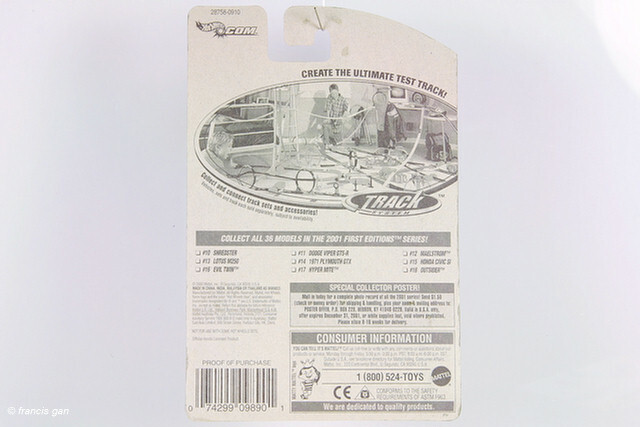 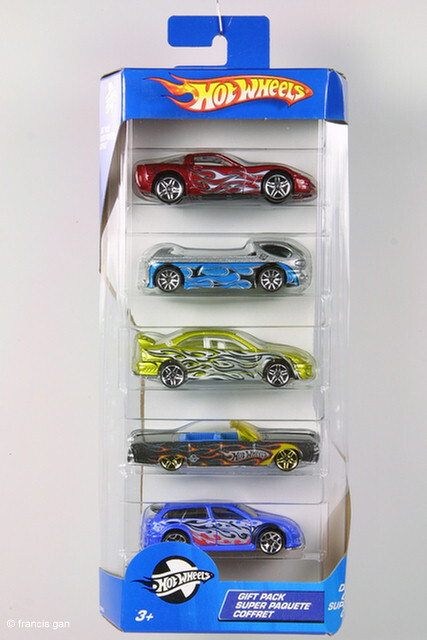 Packaging variations including the 2002 Master set. 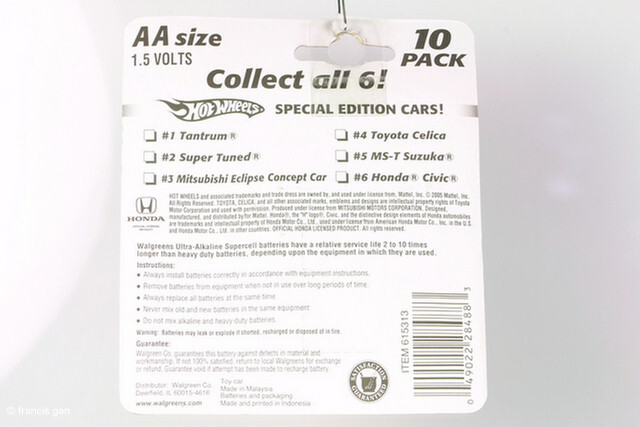 A limited edition blister pack from the 2002 Master Set. 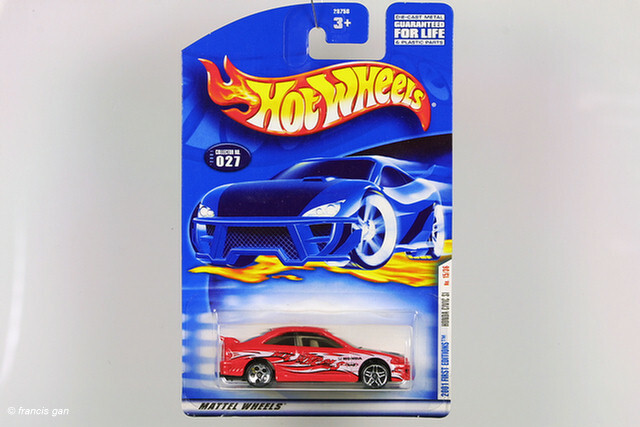 This one came packaged in a special blister pack - the wheels and tires (real rubber with tread) have much more detail than the regular HW versions above. 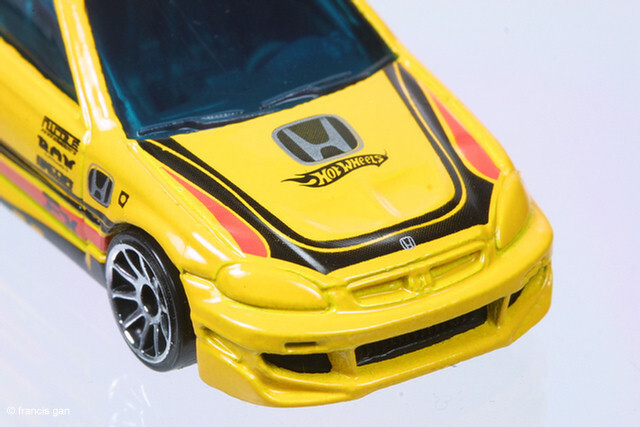 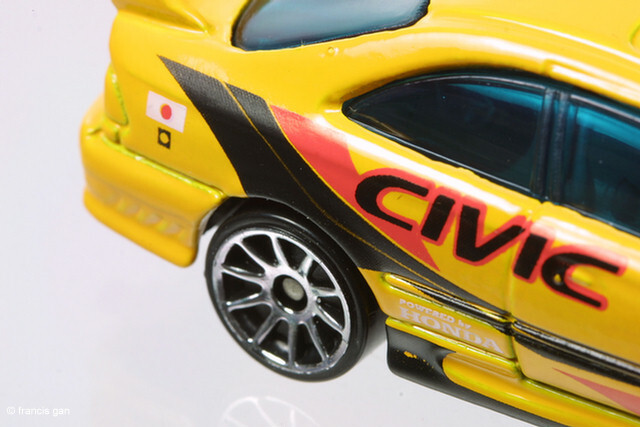 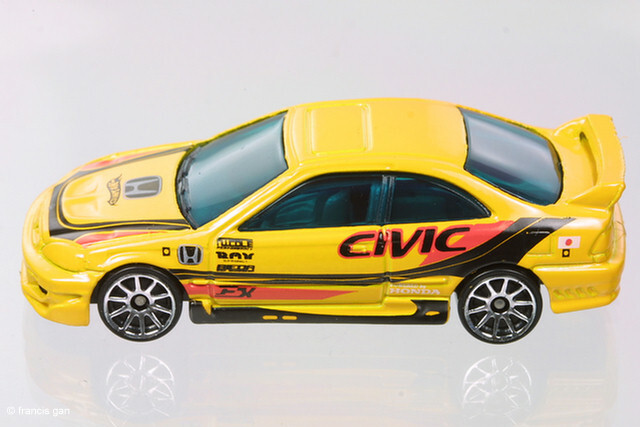 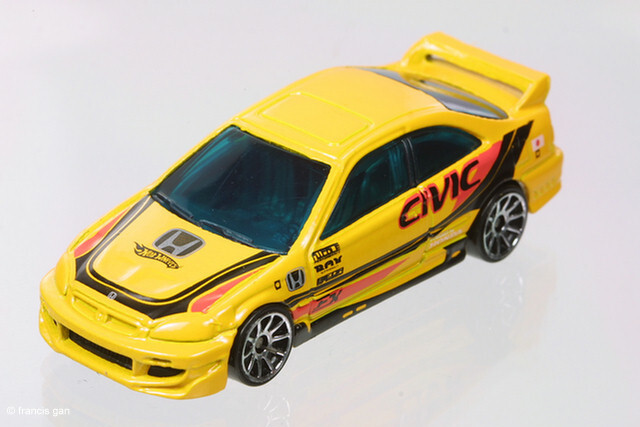 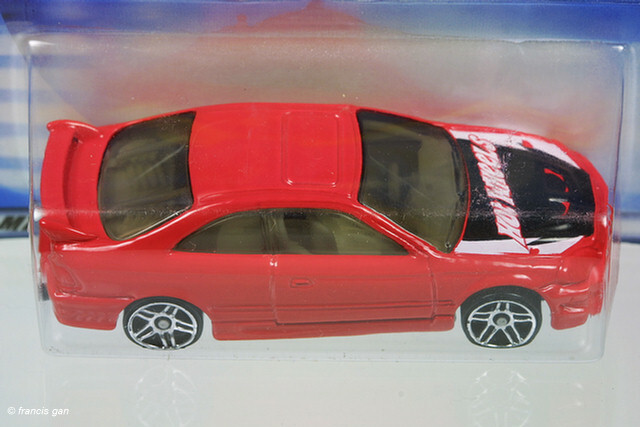 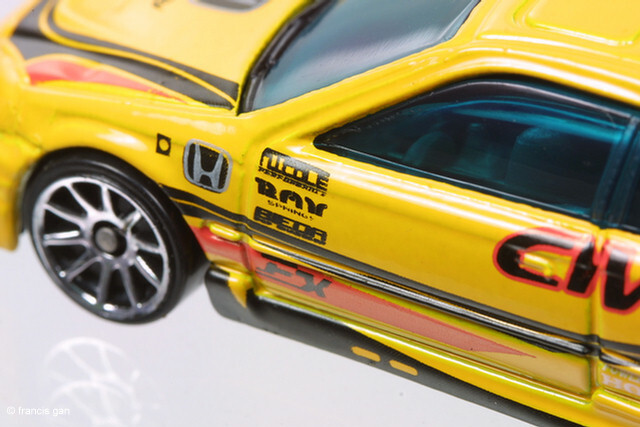 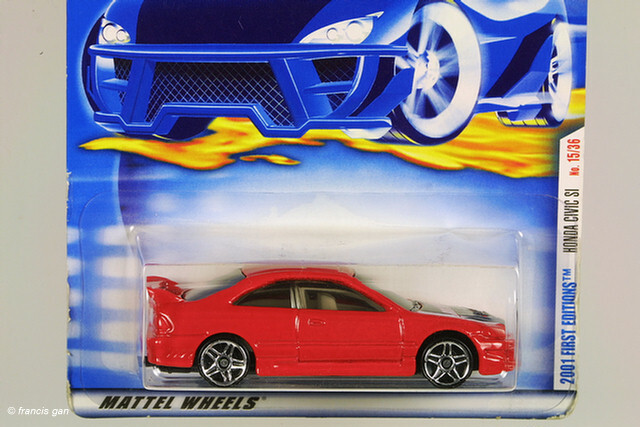 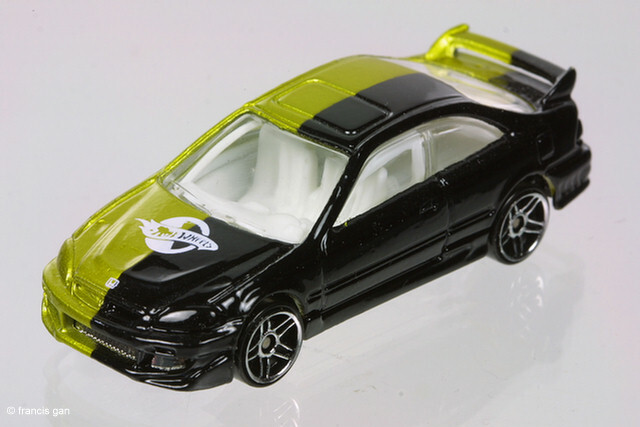 Interestingly, Mattel had a separate casting of the Honda Civic Coupe in a similar scale - however, the bottom plate and rear end are clearly different. 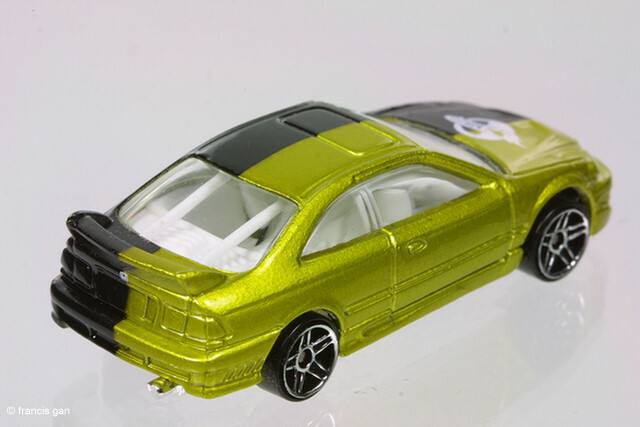 The one pictured here is a promotional item that came as part of a McDonald's Happy Meal package. 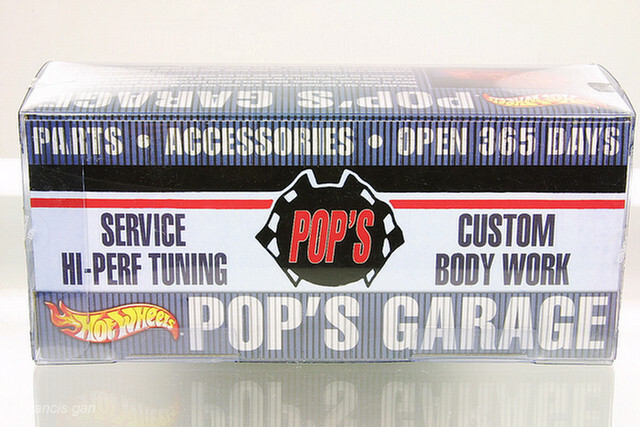 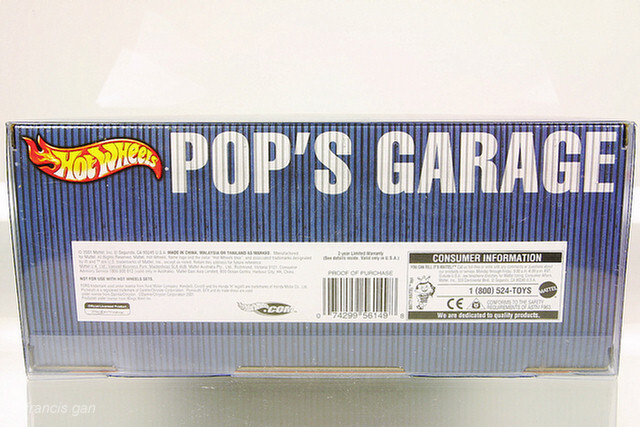 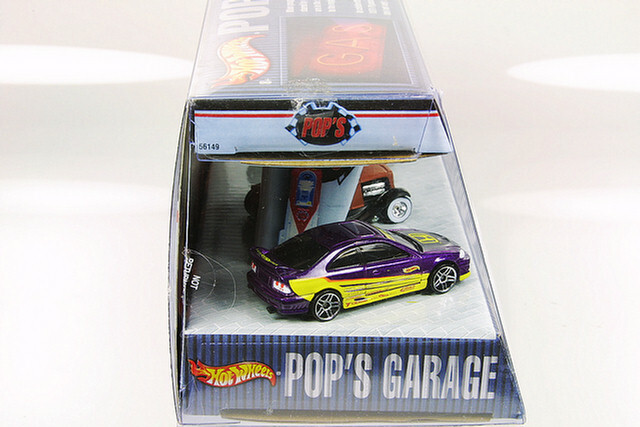 This one came from a "Pop's Garage" set that was a special edition packaging for one of the discount retailers. 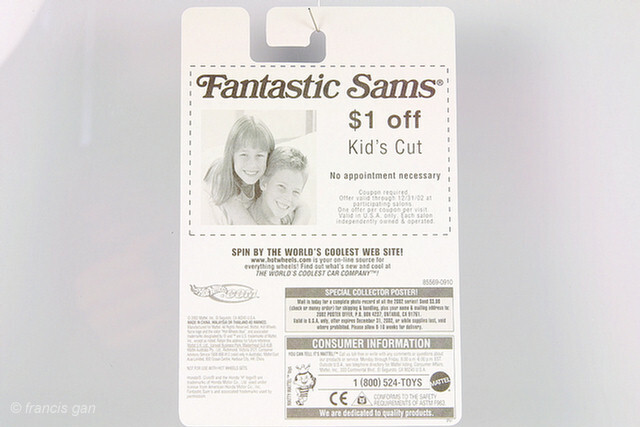 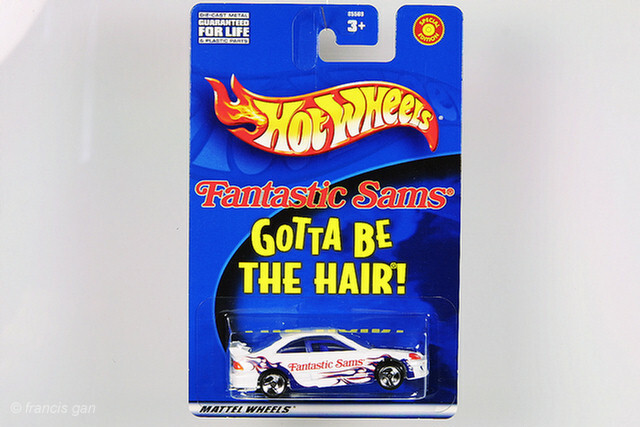 A special edition from "Fantastic Sams". 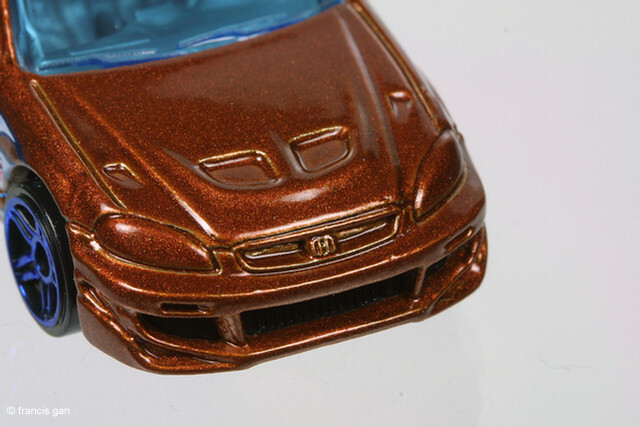 The base plate is chrome. 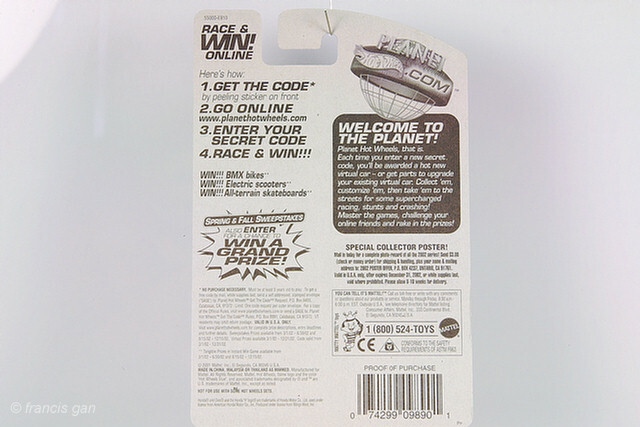 It comes in a special edition blister pack as well. 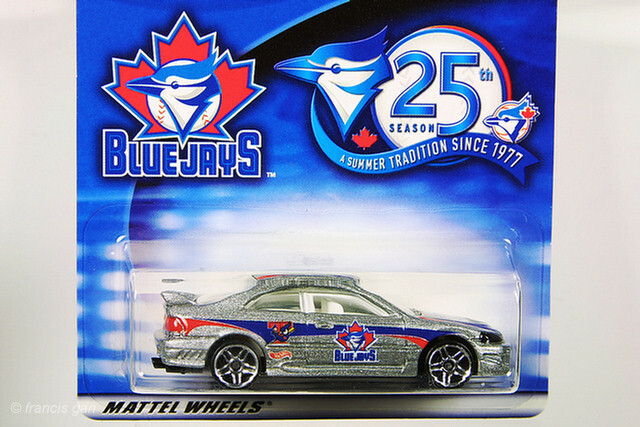 Another special edition for the Toronto Blue Jays with its own special blister pack. 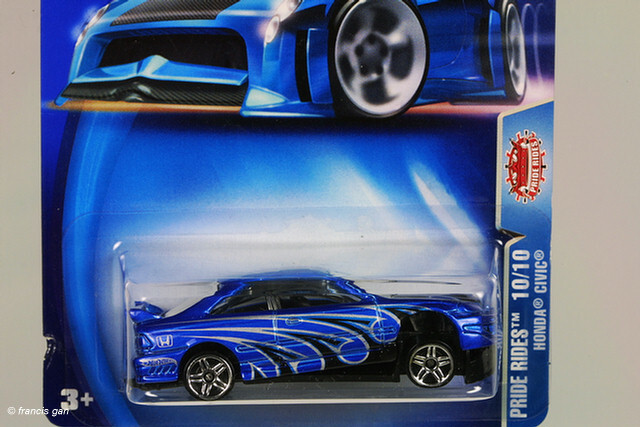 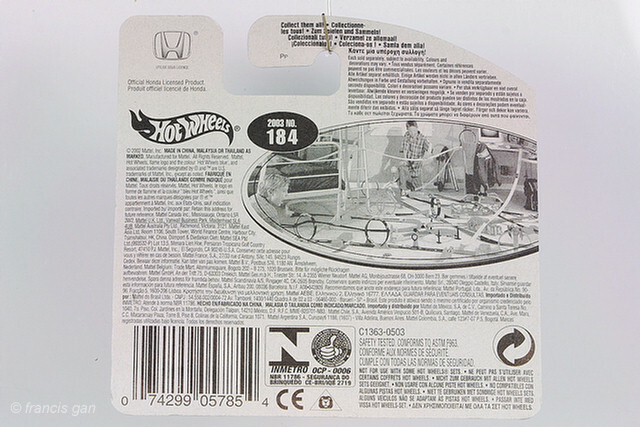 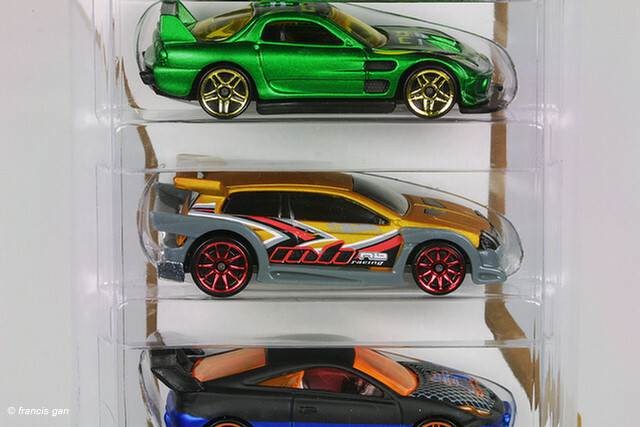 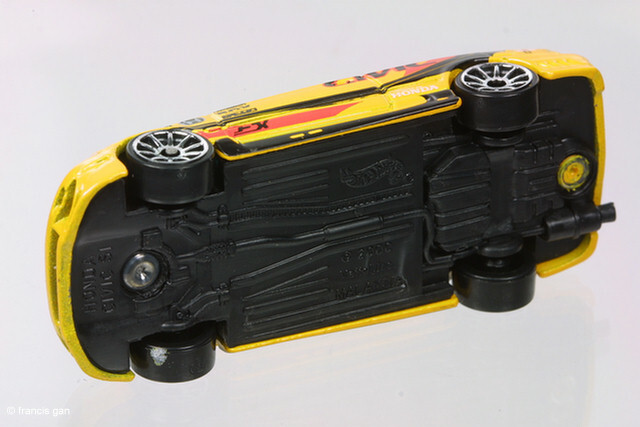 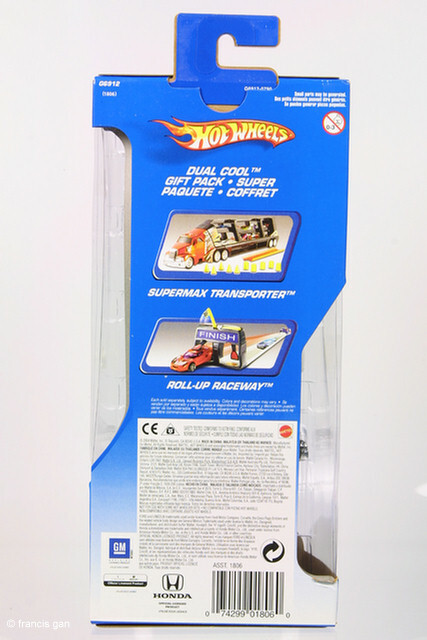 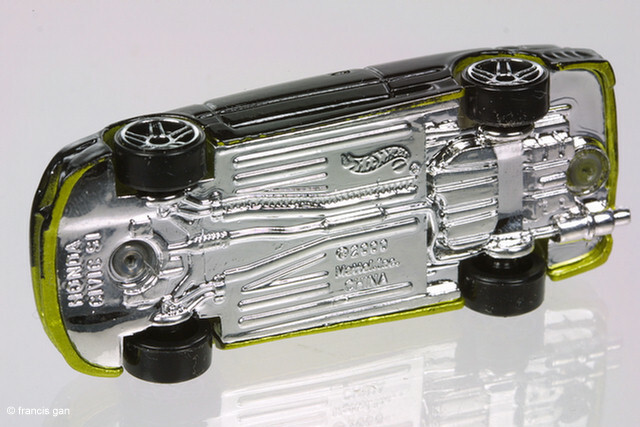 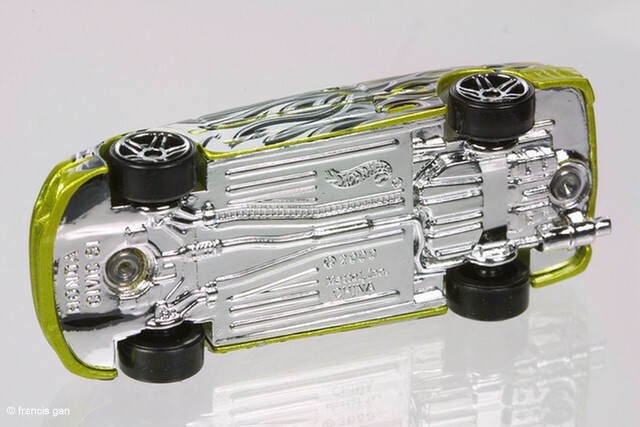 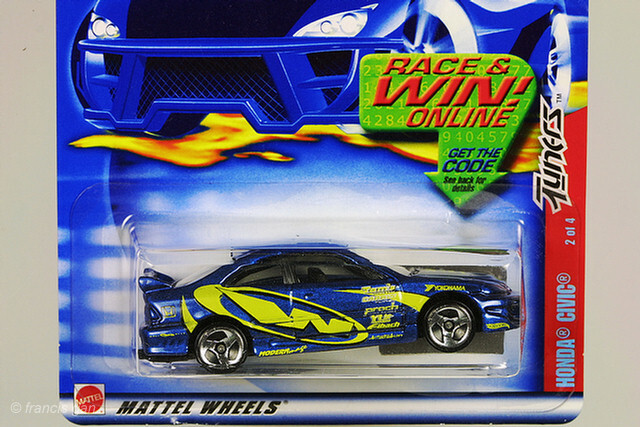 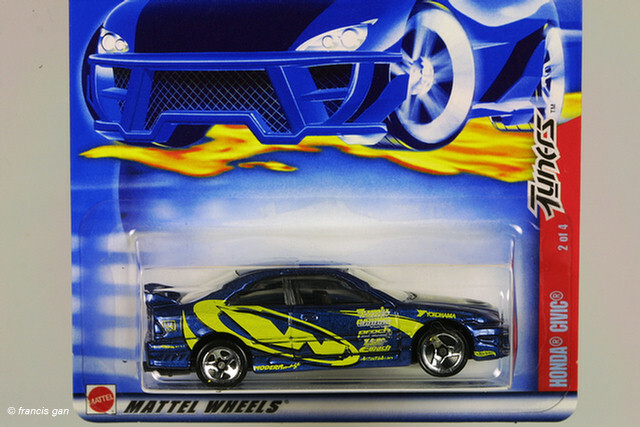 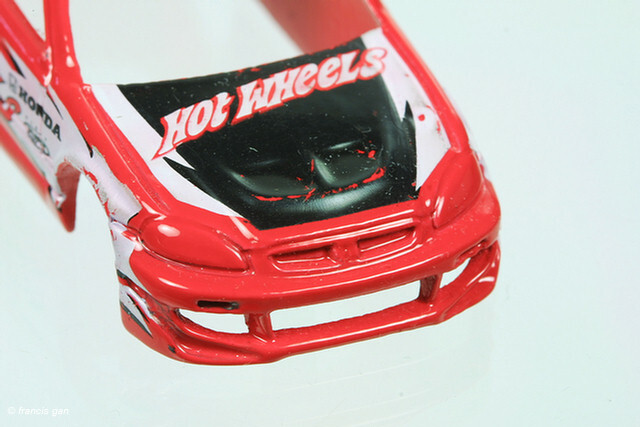 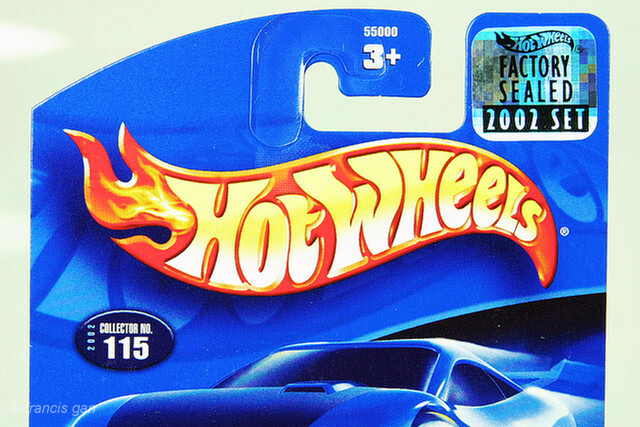 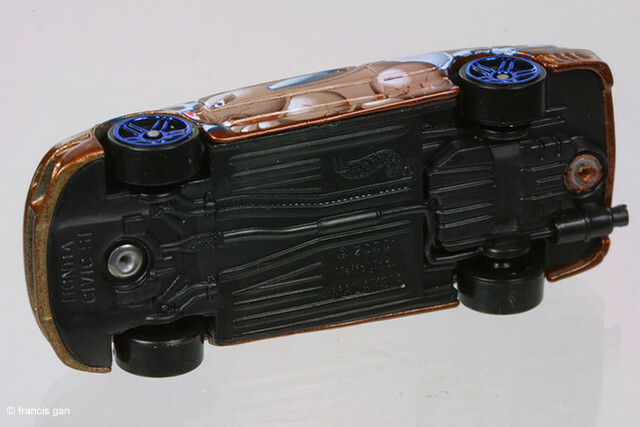 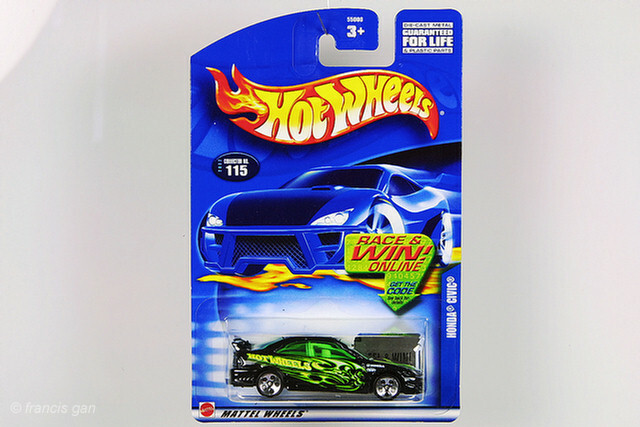 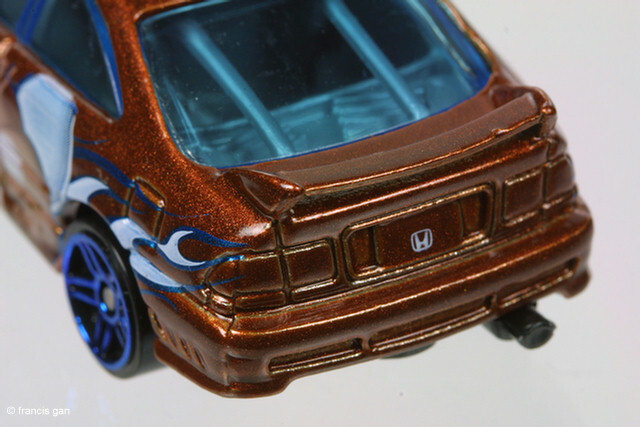 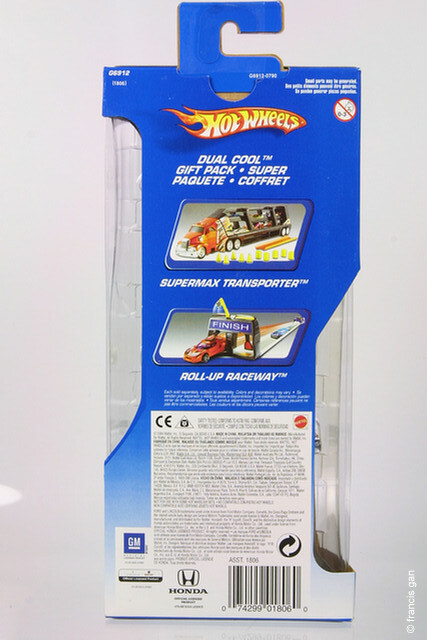 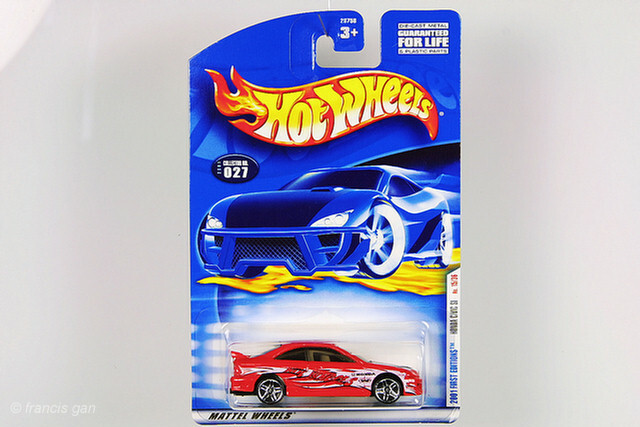 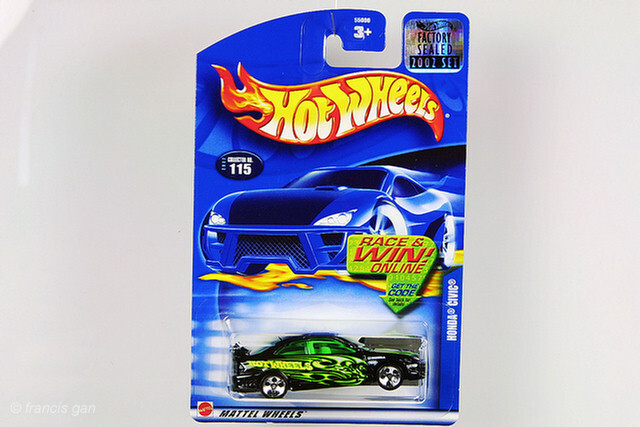 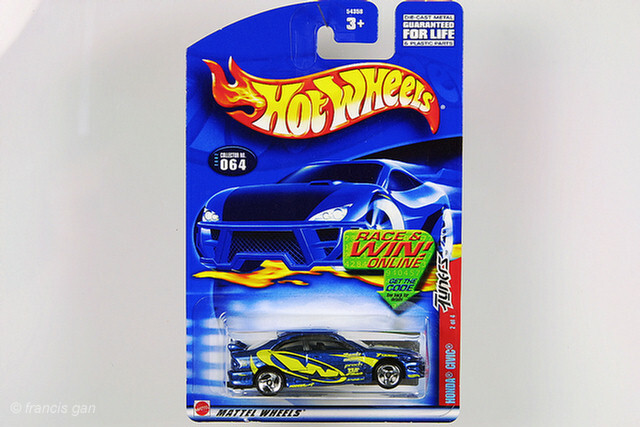 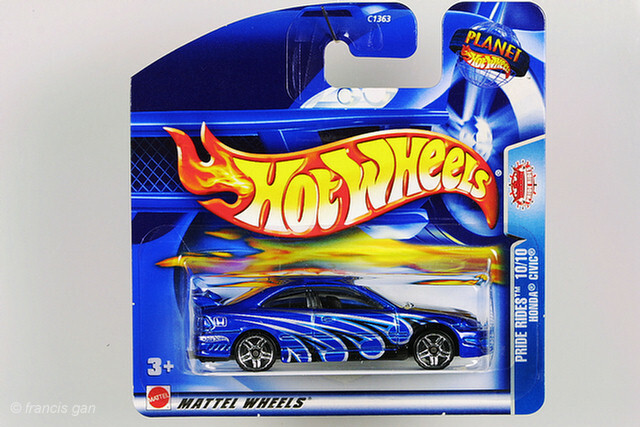 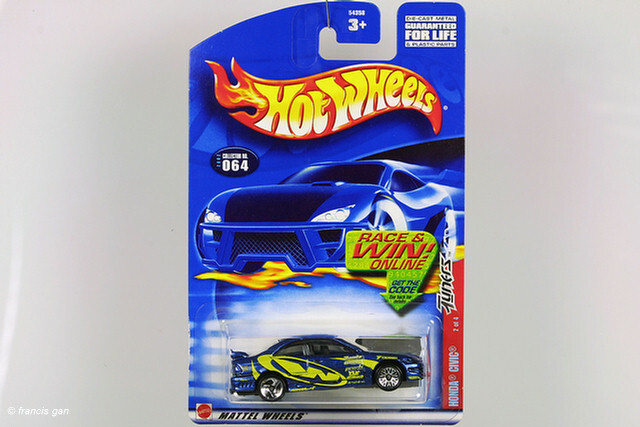 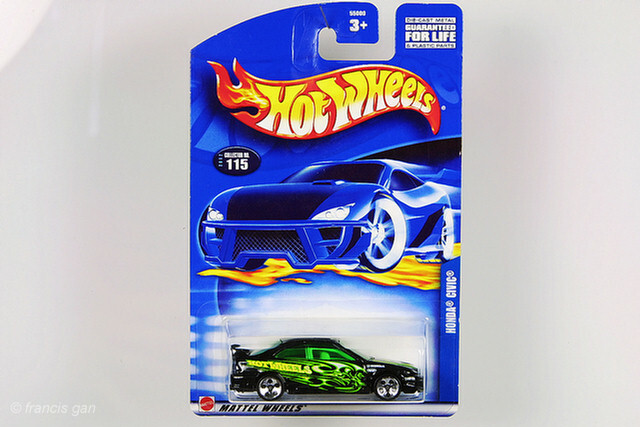 In 2005, Hot Wheels released this variation in half black (left half) and half gold (right half) with a Hot Wheels logo on the hood. 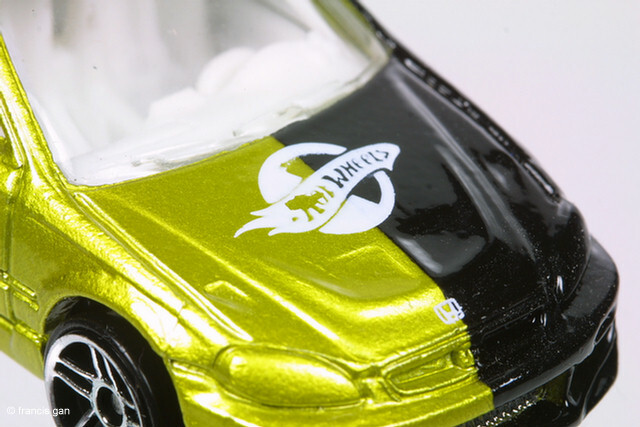 The interior is white. 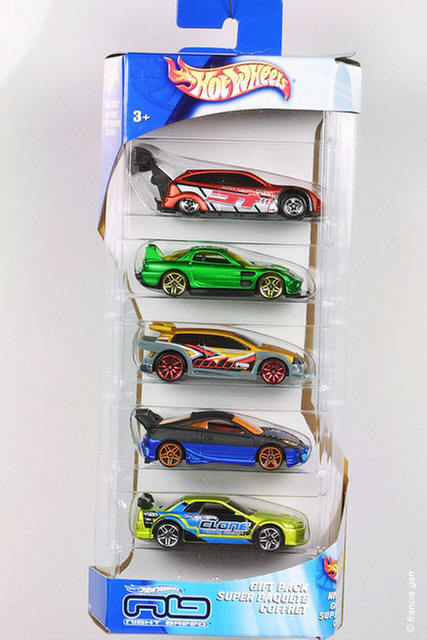 This version came only in a 5 pack with other cars. 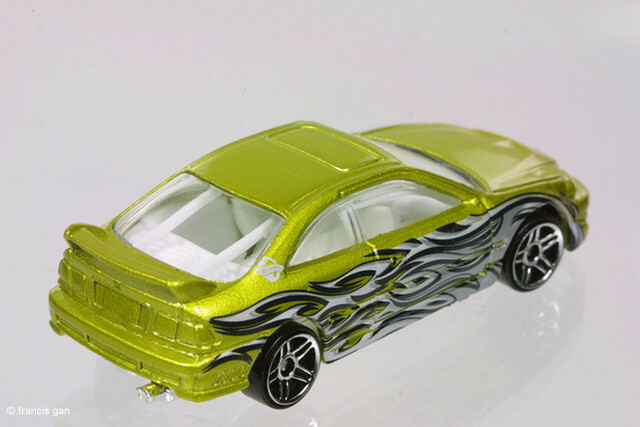 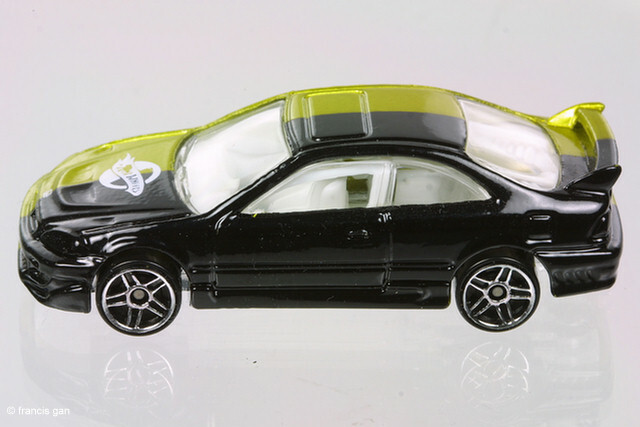 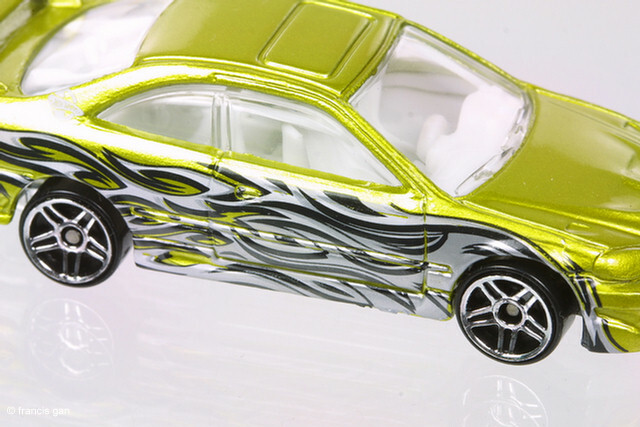 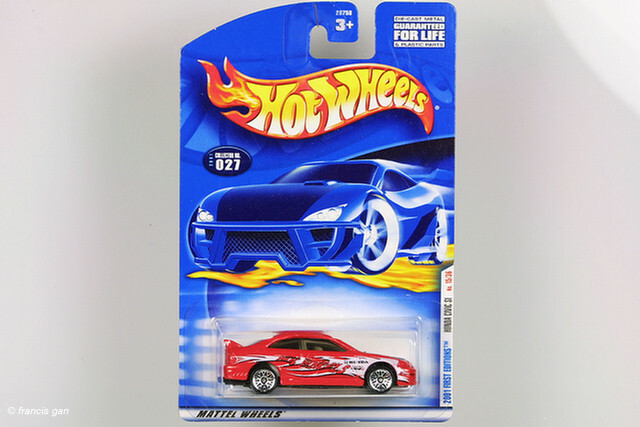 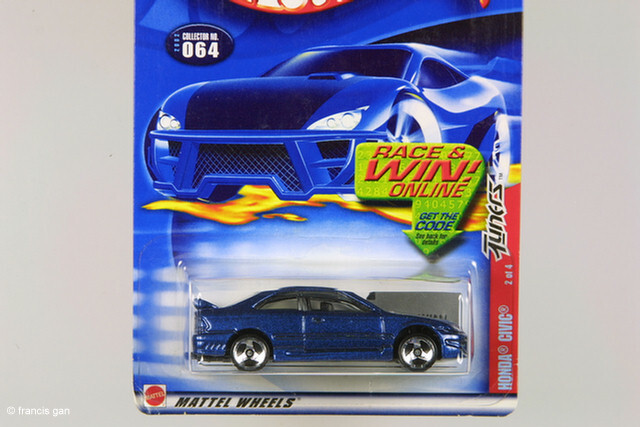 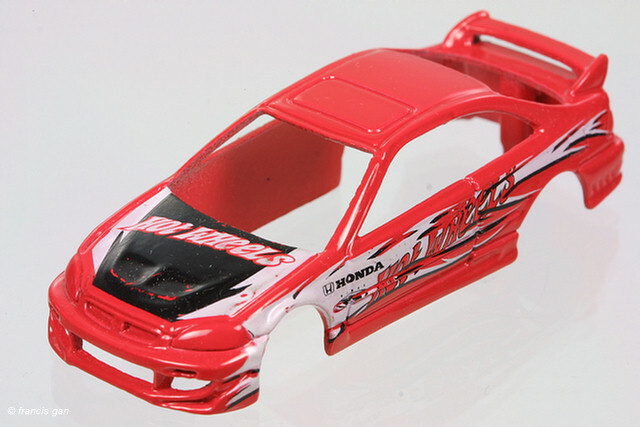 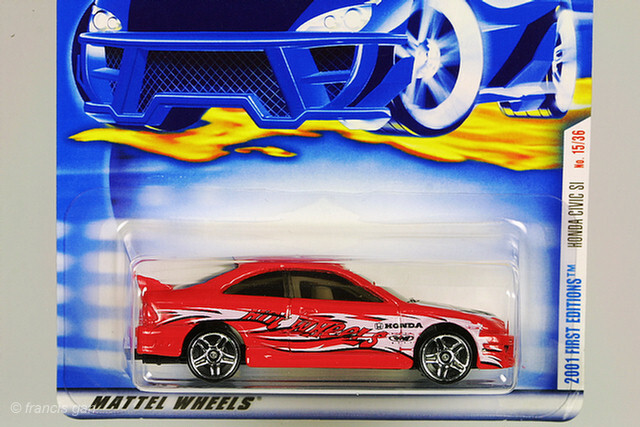 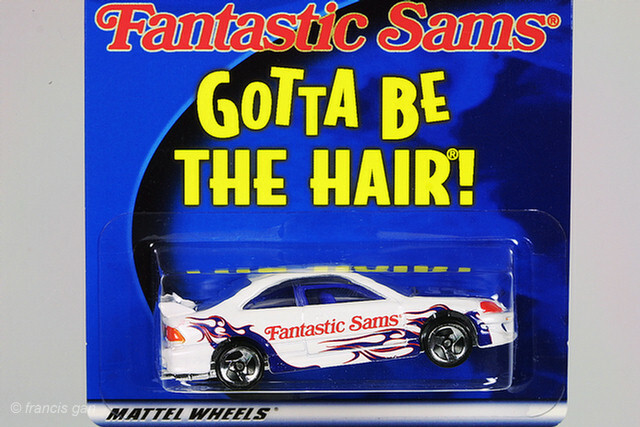 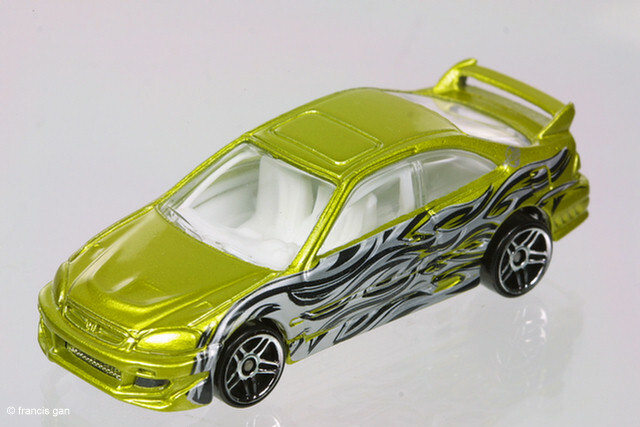 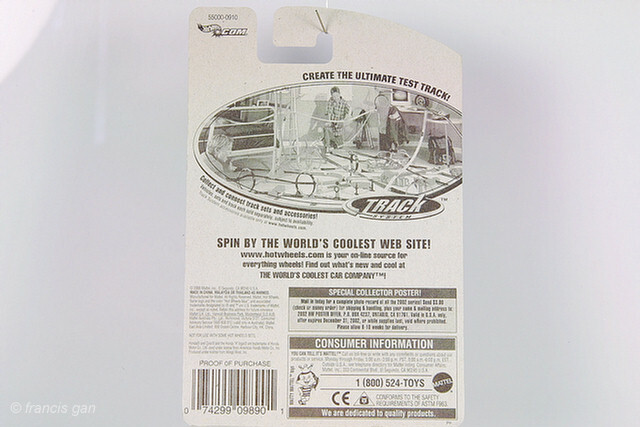 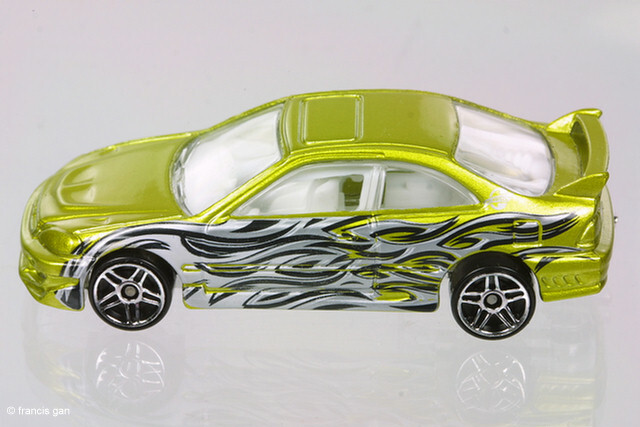 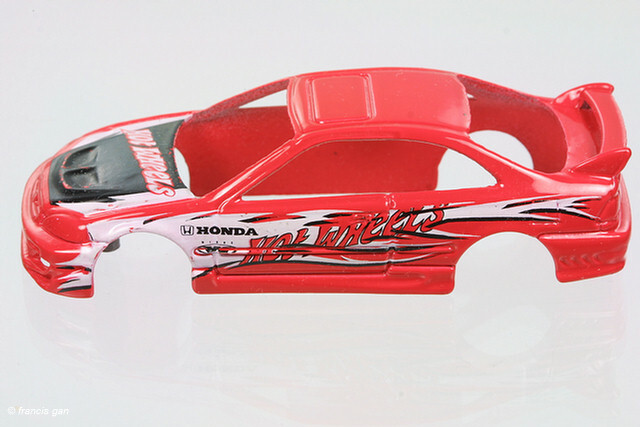 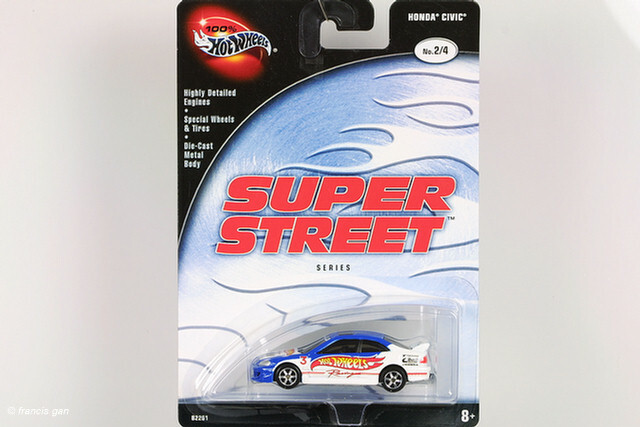 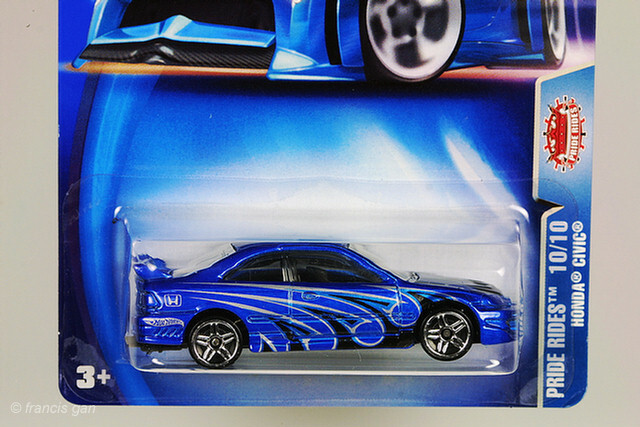 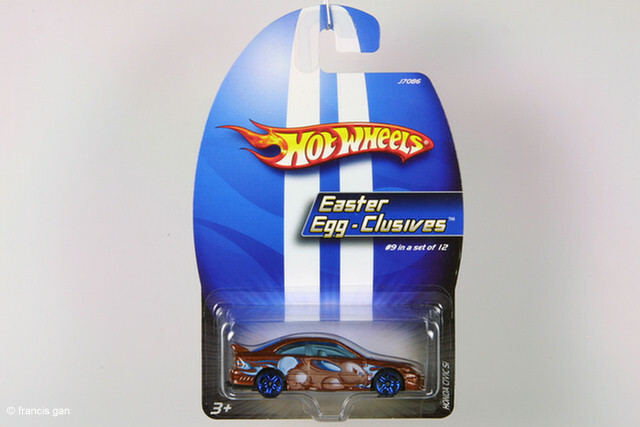 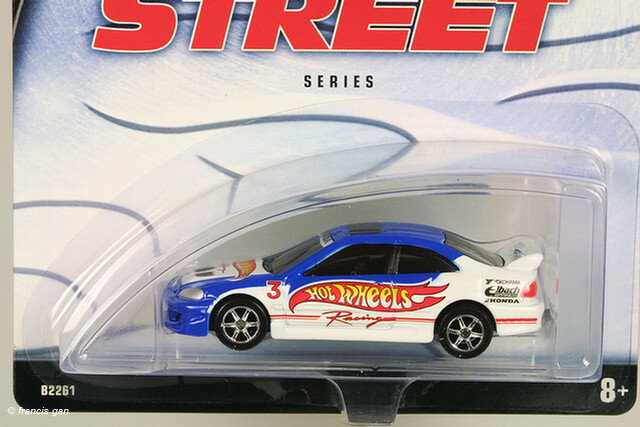 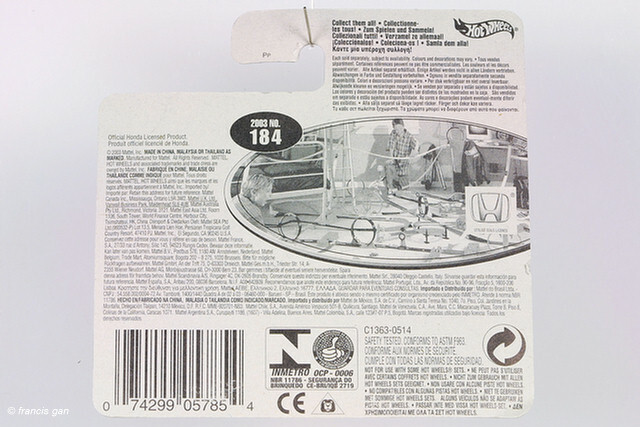 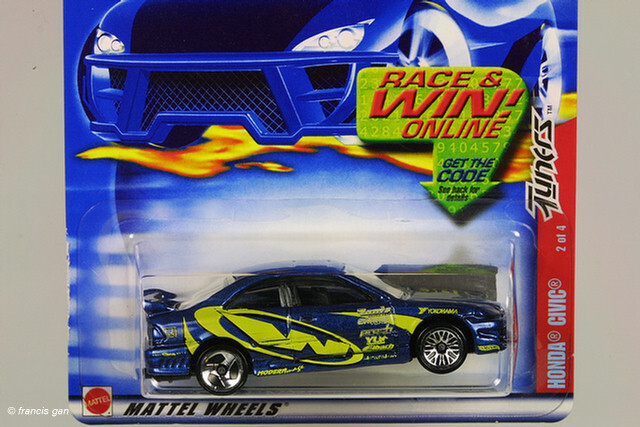 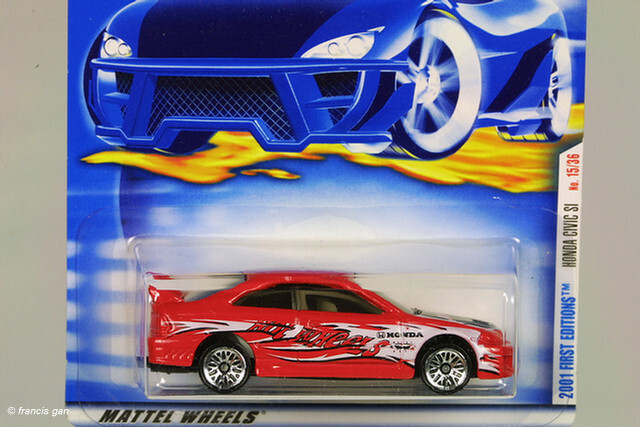 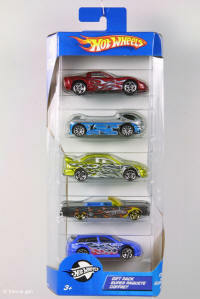 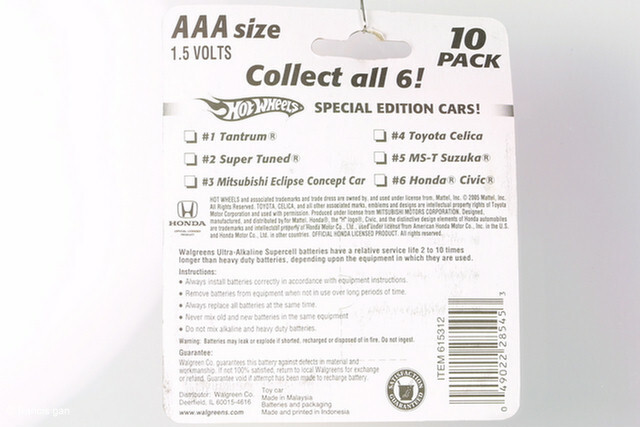 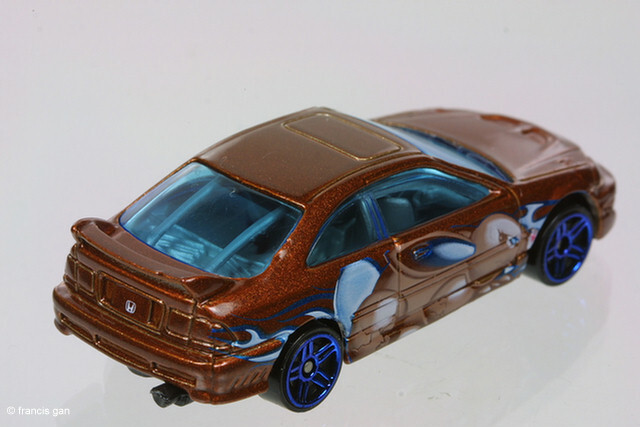 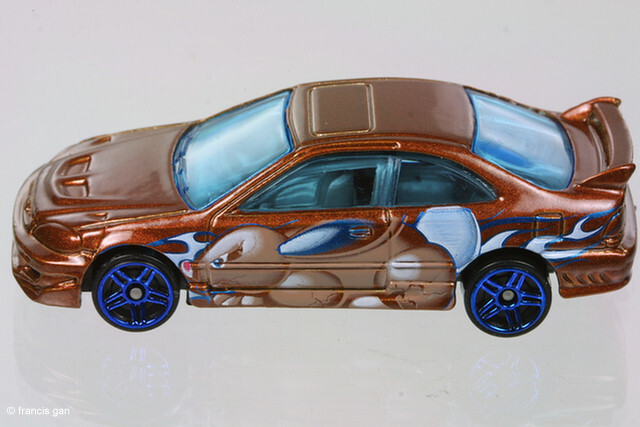 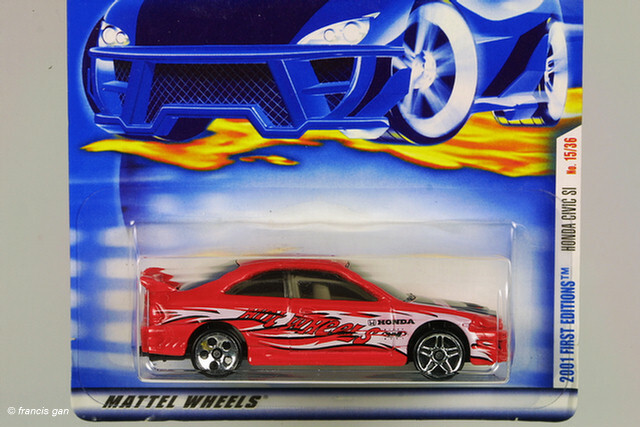 In 2006, Hot Wheel's Eggsclusive series included a metallic maroon Civic with a Bunny graphic on the side. 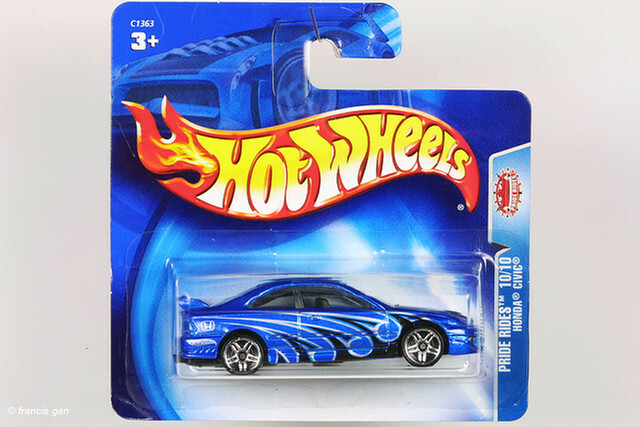 Blue tinted windows and blue CS5S wheels also differentiate it from other variations to date. 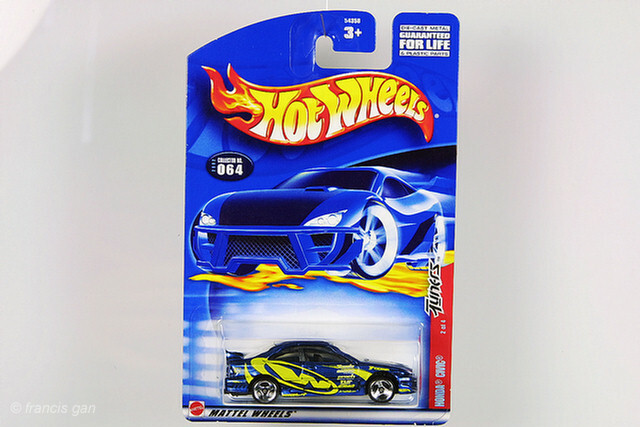 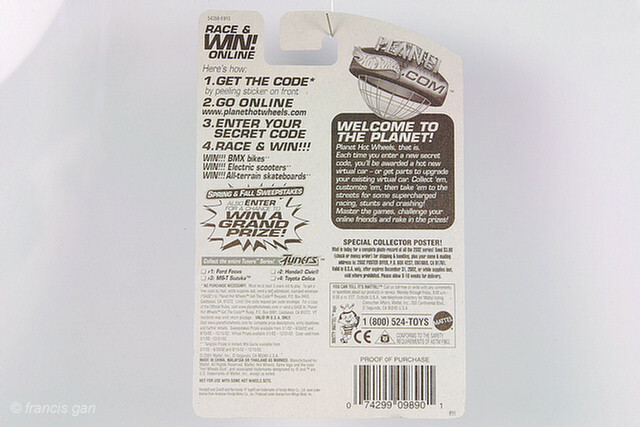 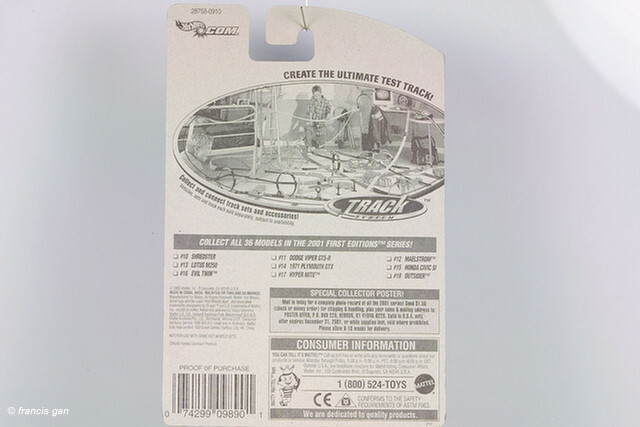 Released in 2005 in a 5 pack - a bright gold version with black and white flame graphics only from a 5 pack. 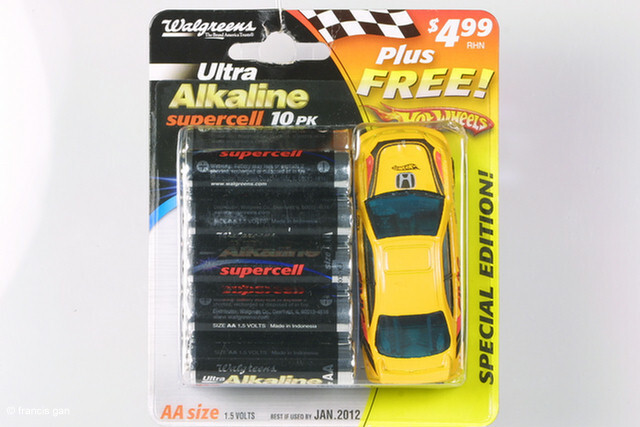 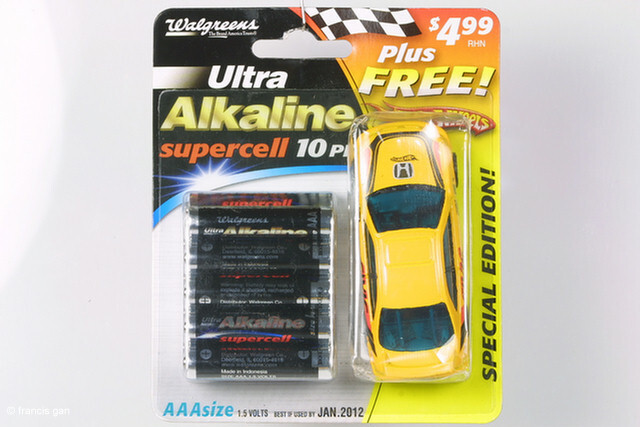 In 2006, Walgreens batteries were packaged with a well tampo'd yellow Civic!